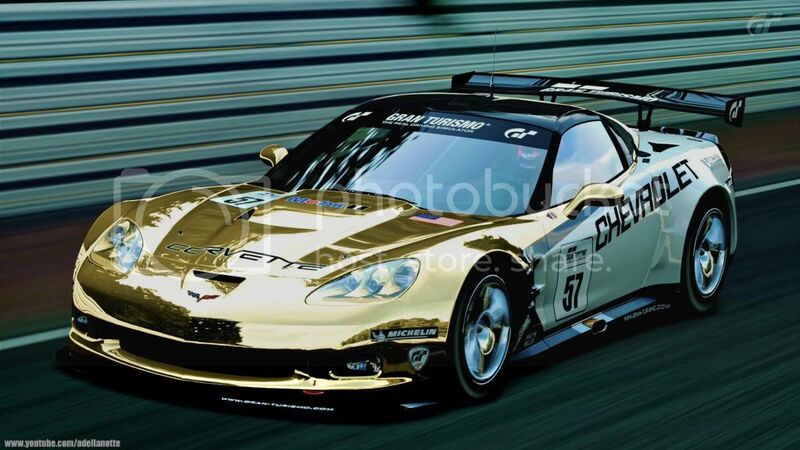 Image of the Chevrolet Corvette ZR1 (C6) RM '09 by adellanotte. Online Car Dealership invaded by Mercedes, and 4 new tracks for time attack and drift. You can now see a new area on the bottom of each page : your Last Activity Log. Car coupons and Jeff Gordon gear set are waiting for you on the finish line. This seasonnal event is quite simple: pick a car under 750 PP. Here find links to allowed cars and updated ODC to mygranturismo.net database. Seasonal updates are back after almost four weeks, with your Elise 111R part of this welcome back program... [update] Miata's armada incoming, too. Only two days after the last seasonal event update - usualy on weekly basis - appears five more solo online races. The five races of the week involve driving one of the nine (out of twelve) Ferrari allowed, under 650 PP. An other event, a Time Attack, have been canceled because of cheating. Browse all official GT5 Trial events leaderboards and improve your own score.